​What attracted you to UNT? How have you gotten involved on campus? 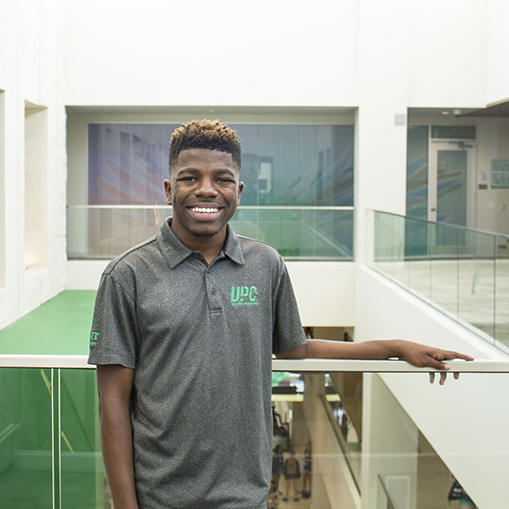 “I have been a proud member of the University Program Council for over a year and a half, and it’s honestly been one of the best decisions I’ve made since arriving at UNT. Last year, I joined the executive board as one of the entertainment coordinators. In that position, I help run and create free movies, live shows and other entertainment events. I currently serve as the vice president of membership and plan to make lasting experiences for our wonderful members who help us plan and implement the amazing free events we provide to UNT’s student body. What advice would you give to a student who is looking to get involved on campus and make the most of his/her time at UNT? For more Student Spotlights, visit https://studentaffairs.unt.edu/student-spotlights.